A division bench of Allahabad High Court comprising Justice VK Shukla and Justice Suneet Kumar, which was hearing a writ petition C No. - 65085 of 2012 filed by Petitioner Emerald Court Owner Resident Welfare Association which claimed to be the recognized Resident Welfare Association (RWA) of Emerald Court Group Housing Society had sought for a writ quashing the revised plan sanctioned by Respondent 2 for construction of new towers namely Tower 'APEX' and 'CEYANE' in plot no. 4, Sector 93-A, which were part of Supertech's Emerald Court project and issue further directions for demolishing of aforesaid towers, the approval and construction being in complete violation of provisions of U.P. Apartments Act of 2010. Contending that they were blocking "light and air" of other apartments in the complex, Petitioners had sought consensus demolition of the towers. It further sought for a writ directing the Respondent 2 not to sanction amendments to any further building plans in respect of the Group Housing Society being developed by Respondent 5 without obtaining consent of all the residents and also asked for a direction quashing the consent granted to Respondent 5 to link Tower T-1 and T 'APEX' / 'CEYANCE' through space frame. It asked for direction directing Respondents 2 and 3 to ensure that fire safety equipment and infrastructure is installed at the expenses of Respondent 5 within a specified period.The Respondent no. 2, New Okhla Industrial Development Authority was an authority, constituted under Section 3 of the Uttar Pradesh Industrial Area Development Act, 1976, whereas Respondent no. 5 Supertech Ltd. was a company registered under the Companies Act and was the developer of Group Housing Society of which the Petitioner association was residents. The High Court Bench heard Sri Kunal Ravi Singh, learned counsel for the Petitioners, Sri Ashok Mehta, Sr. Advocate assisted by Sri ShivamYadav on behalf of NOIDA Authority and Sri ShashiNandan, Sr. Advocate assisted by Sri ShatishMadhyan, on behalf of Respondent Developer Company and learned Standing Counsel on behalf of State and perused the record and written submissions of the respective parties. The petition was being decided at the admission stage by the consent of parties and as per rules of the Court.The Bench laid down Dipak Kumar Mukherjee vs Kolkata Mun.Corp. & Ors, wherein the Supreme Court observed that in last four decades, the menace of illegal and unauthorized constructions of buildings and other structures in different parts of the country had attained horrific share. The Apex Court had held that there should not be judicial acceptance of illegal and unauthorized constructions by those who treat the law to be their meek and those indulging in such activities will not be pardoned. It referred to Ravindra Mutneja, Rajendra vs. Bhawan Corporation A Partnership. The High Court held that once the sanction for Apex &Ceyane (T 16 and 17) was in total breach of the building regulations, 2010 and Apartment Act, 2010, then the Court would be failing in its duty if Respondent company/developer wereallowed to raise the constructions. It further stated that it was time when everyone should realize that rule of law was not a purchasable commodity and there is zero tolerance against criminalitiesand simply because the builder had taken protection against the sanction which admittedly was illegal and in violation of building regulations and the Act, irregulaties would not be spared. The High Court stated that the facts were destroyed by the Respondent-company to non-suit the Petitioner and deceived the Court and had pleaded falsely as well. According to it, the then official of NOIDA Authority had not acted bona fide in discharge of their duties the map wasapproved and was being implemented in violation of Building Regulations. Thus, the Court was of the opinion that the officials cannot claim protection under section 50 of the U.P. Urban Development Act, 1973 as incorporated under section 12 of the 1976 Act. Considering all the points, the High Court Bench gave directions that within period of four months from the date of filing of the certified copy of this order the NOIDA Authorityshould demolish the Towers 16 & 17 (Apex &Ceyane) situated on Plot No. 4, Sector 93A NOIDA and directed the Respondent-company to bear the expenses of the demolition and removal of the debris, failing which it shall be recovered by NOIDA Authority as arrears of land revenue. 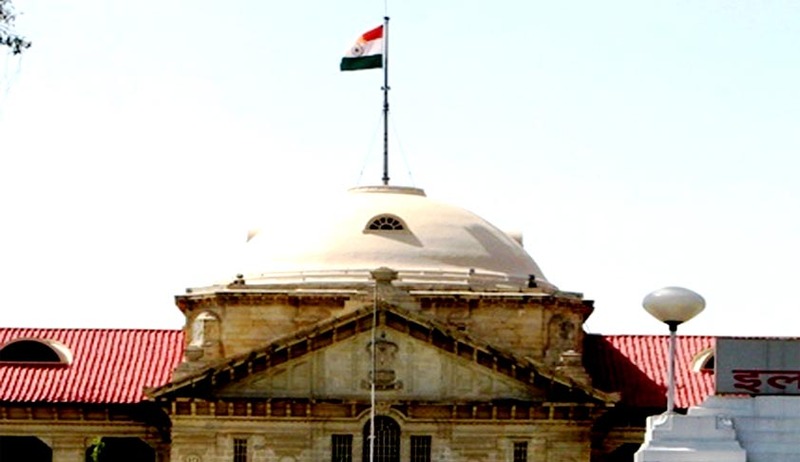 It further directed that the officials of the Respondent-company and the officers of the NOIDA Authority had exposed themselves for prosecution under the Uttar Pradesh Industrial Area Development Act, 1976 and Uttar Pradesh Apartment (Promotion of Construction, Ownership & Maintenance) Act, 2010. Sanction for prosecution as required under section 49 of the U.P. Urban Development Act, 1973, as incorporated by section 12 of the U.P. Industrial Area Development Act, 1976, shall be approved by the Competent Authority within a period of three months from the date of filing of certified copy of this order. The Respondent-company was directed toreimburse the consideration received from the private parties, who have booked apartments in Apex &Ceyane (T 16 and 17) along with 14% interest compounded annually within four months from the date of filing of certified copy of this order. Directing these directions, the High Court Bench allowed the writ petition. After the Allahabad High Court ruling that ordered demolition of Supertech's two under-construction 40-storey towers in Noida, huge demonstration was held by home buyers against the builder. The existing residents of Emerald Court were aggrieved that the two towers were approved without maintaining the compulsory distance of 16 meters between the new towers and their building block, as required by the Noida Building Regulations and Directions of 2010, which made their block risky.In 2004, Supertech was allotted A 48,263 sq m plot in Noida's Sector 93A for constructing Emerald Court Group Housing Society, which was to have 15 towers with 11 floors each. These apartments were completed in 2010. In 2006, the Noida authority allotted an additional 6,556.51 sq m in the same plot to the builder, who had planned to build a ground plus one shopping center and an apartment block with 11 floors, similar to the other towers constructed on the plot. But in 2009 the developer increased the height of the towers to 24 floors and then to 40 floors in 2012.